Ask Howie and you shall receive. After months of uncertainty regarding how the Eagles front office would address the running back position, again, Howie comes through. For a cheap price of a 2020 sixth round pick (which could turn into a fifth based on performance), the Philadelphia Eagles acquired running back Jordan Howard from the Chicago Bears. Howard is the exact player that this offense needed. Not only is his contract of a little of two million dollars affordable, Howard is only 24. Additionally, he has no major health concerns, and has been the third most effective back in the NFL since entering the league in 2016. He is the early down and goal line back that will set the pace of the game and is able to keep the change moving to bleed the clock when needed. The Eagles have had an awesome off season. For some reason, some people always worry about cap space, but Howie always gets it done. By restructuring contracts for Rodney McLeod and Lane Johnson we instantly made millions in cap space. 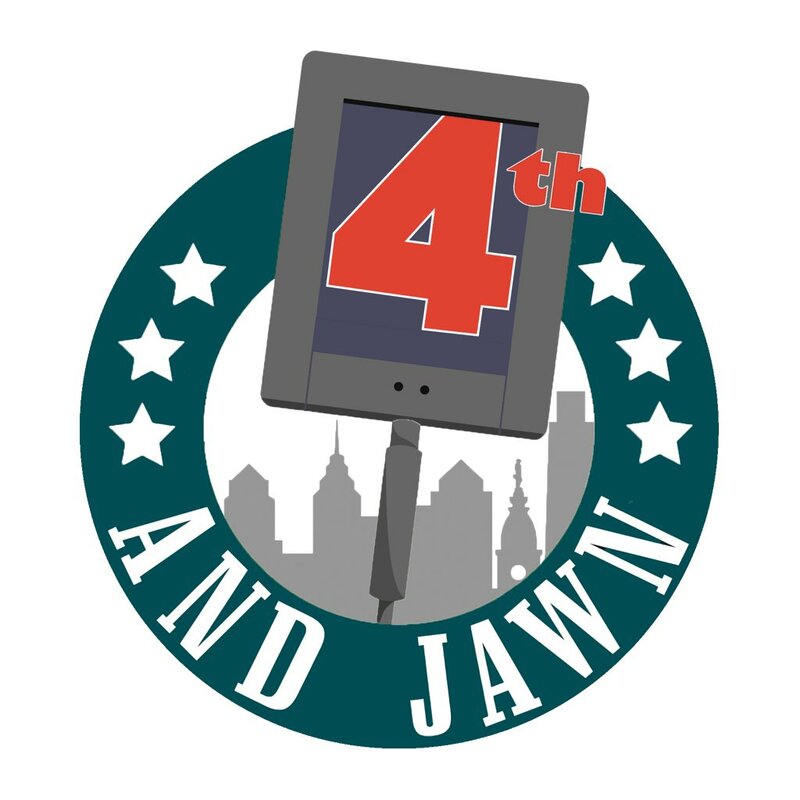 Additionally, we re-signed Brandon Graham, Jason Kelce, Jason Peters, Isaac Seumalo, Jake Elliott, and Ronald Darby for the 2019 season or beyond. We also landed big names such as Malik Jackson and traded for former Eagle DeSean Jackson. Desean Jackson’s presence in this offense cannot be understated. Carson, as well Howard are aware that having Jackson split out wide forces opposing defenses to keep their safety out of the box opening up runs and routes in the middle of the field. Overall, the Eagles are well off heading into the draft; we are in great position to add in a few pieces that will get us back to another Super Bowl. If you want to ensure that Carson is protected and that we add depth to the appropriated positions, this is the best course of action. 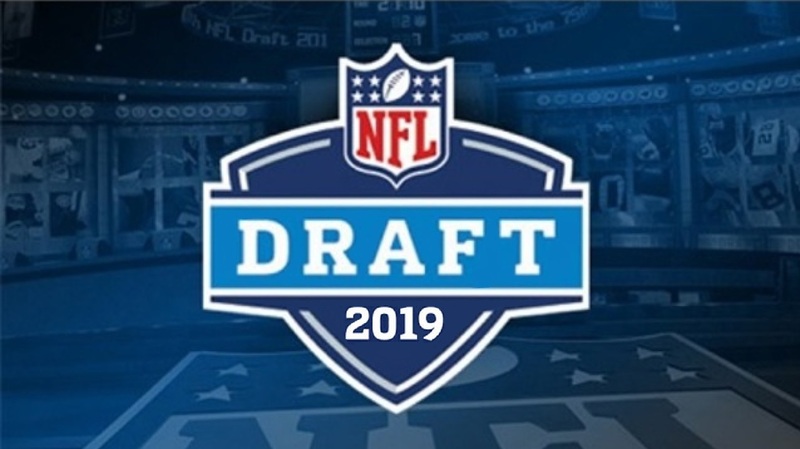 Hear me out, nobody wants to use a first round pick on a lineman but it is a necessity if you value your quarterback who is in fact your franchise. When the Eagles selected Lane Johnson fourth overall in the 2013 draft, nobody stood up and screamed, “this is the exact guy I wanted to take.” Incredibly enough, Johnson is one of the most accomplished players from that draft class and has a ring before the age of 29. Lineman is never the flashy pick, but the right one will set you up for success. Now, the Eagles look to protect Carson Wentz in a year where their offensive line will certainly have some question marks. Jason Peters is back for another year but regularly left games due to injury last season. Pro Bowl guard Brandon Brooks is coming off of an achillies injury late in the year and most likely will miss time. In comes Garrett Bradbury from NC State. If you could find a player who has the heart of Jason Kelce with the athleticism of Lane Johnson, look no further. Bradbury is a player who is quick, relentless, and can get to the second level. With the addition of Jordan Howard, the addition of Bradbury would make this one of the most formidable rushing attacks in the entire league. Hall of Famer Gil Brandt had high praise for him at the scouting combine. Now that we took care of the o-line, it is come to add to that rotation. At 6-foot-3 and 251-plus pounds, D’Andre Walker is a name we’ll be cheering for regularly at the Linc. His athleticism, motor, as well as his numerous pass-rushing/block-shedding make up for his lack in height. He was a handful against top ranked tackle Alabama’s Jonah Williams. He finished 2018 with 7.5 sacks and 4 forced fumbles. Walker is a hybrid DE like Von Miller who can drop back in coverage and disrupt tight ends regularly. Behind Graham and Barnett, there is not much depth so implementing Walker into that rotation would be incredible. Miss It Already. Until Sunday. The Eagles are primed to have Jordan Howard lead the way however, every running back needs a back-up or true complementary player. The Saints, do some questionable things; however, the 1-2 punch they had with Ingram and Kamara was near flawless. Devin Singletary is his own man but he has a lot of similar traits to Kamara. He has 51 catches for 397 yards in his three years so he can certainly catch and once he’s in the open field, don’t blink. He is regarded as the most electric runner in the draft. Although he is smaller in stature, he is known for his quick light movements and LeSean McCoy like agility. He led the rushing attack with 1,348 yards and 22 touchdowns to go along. The thought of Carson airing out a bomb to DeSean is a dream come true but a combination of Howard and Singletary makes you bat your eye at the $40 parking fee a little less now. I have my first draft crush of the year. FAU RB Devin Singletary is legit. Vision, contact balance, footwork, and elusiveness are the traits that I look for in RBs. This seems like a small detail, but I am always in favor of drafting teammates. Pratt and Bradbury will be able to enter the NFL world together, watch each others backs, and will have some familiarity as their lives are rapidly changing. More importantly, Pratt is an unbelievable prospect. As a safety who was converted to linebacker, Pratt uses his instincts to explode to the ball in the air or in a runners possession. He is an expert tackler and regularly is making plays behind the line of scrimmage. Pairing him with Bradham and Kruger-Hill would make this linebacker core fierce as they’re looking to clean up anything that slips past our stacked defensive front. Pratt had 104 total tackles and 6 sacks in 2018. He also ran a 4.56 40-yard dash and came in sixth at the bench press with 24 reps.
Sills was recruited to play quarterback at the University of Southern California prior to high school by Lane Kiffin. He had a Bryce Harper/Lebron James following at such a young age. However, he suffered a knuckle injury and it forced him to transition to receiver. This was a blessing in disguise because Sills deep knowledge of the QB position made him the perfect wide receiver. He can routinely put himself into his QB’s perspective and understand what he may be thinking. With a combination of smooth routes and sure hands, he is a guy that you can always rely on. We have a great wide receiver room already but he is looking to go around this time in draft and this value is too good to pass. The West Virginia product hauled in 65 catches for 986 yards and an impressive total of 15 touchdowns in 2018. The Eagles need to find a safety to succeed Jenkins and McLeod. The acquistion of Andrew Sandejo is a great depth move but he is a rental player. Hansen is a move for now and the future. Chase Hansen from the University of Utah who will be a future starter in the league. He regularly uses his length to make incredible plays that are just routine to him. Hansen is long in size and utilizes this trait to regularly make impressive plays. In 2018, he had 114 tackles, five sacks, and two interceptions. With the great mentors like our in house secondary at the moment and an opportunity in the future, Hansen will be special. The 6-foot-2 and 310 pounds defensive tackle, really found the scouts attentions at the Senior Bowl. Saunders first displayed his athleticism by doing several back flips. Next, he had the opposing offensive lines doing running in circles trying to find him as he burst through the trenches to make big plays against top competition. As a sixth round pick, Saunders would be a steal and eventually a home run. Having vets like Cox and Jackson to show him techniques and skills will go a long way. He will be a great rotational player year one for the Birds. This is a guy who could go from an unknown to a pro-bowler if given the right opportunity.